1) The practical point of view by providing practical examples and the problems which can be solved. 2) The academic point of view where the analysis and various techniques used for distribution system planning are explained. The most outstanding feature of this book is a combination of practical and academic explanation of its contents. Another outstanding feature is a collection of the traditional and current topics of distribution systems condensed into one book. Electric Distribution Systems provides a unique, integrated two-prong approach that enables readers to design, install, and manage effective and efficient electric distribution systems. It combines both practical and academic perspectives so that readers can fully grasp underlying theory and concepts, and then apply their newfound knowledge and skills to problem solving. 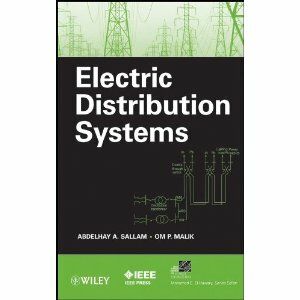 Throughout the text, the authors explain the analytical tools and techniques needed to design and operate electric distribution systems. They then support these explanations with real-world examples as well as hundreds of clear illustrations and photos.